Grew up with Primorka Bar (Montenegro). Signed for the 2000-01 season by BC Buducnost Podgorica. 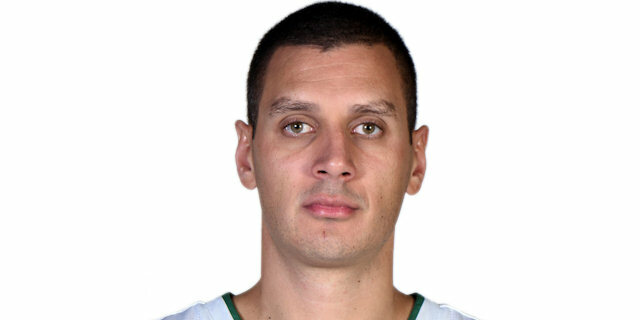 Signed for the 2003-04 season by Utah Jazz. Signed by Cleveland Cavaliers for the remainder of the season. On January'11 signed by Dallas Mavericks. On Ferbuary'11 signed by New Orleans Hornets. On March '11 signed by Boston Celtics. Played there also the 2011-12 season. Signed for the 2012-13 season by Portland Trail Blazers. On February'14 moved to Serbia signed, for the remainder of the season, by BC Partizan Belgrade. Has been member of the Sebria & Montenegro National Team. Played at the 2011 Mediterranean Games.